Every time I refresh the site, it goes to a page warning me that this site could be 'dangerous'. Please fix. We're aware of the problem. I notified our Administration, so hopefully the issue should be resolved soon. kcin556 wrote: We're aware of the problem. I notified our Administration, so hopefully the issue should be resolved soon. Yeah, I've been getting this too. Yeah it just started for me last night. It really isn't that bad but it probably should be fixed. This appears to be an issue on my phone in Safari and Chrome, I'll check on my computer later. 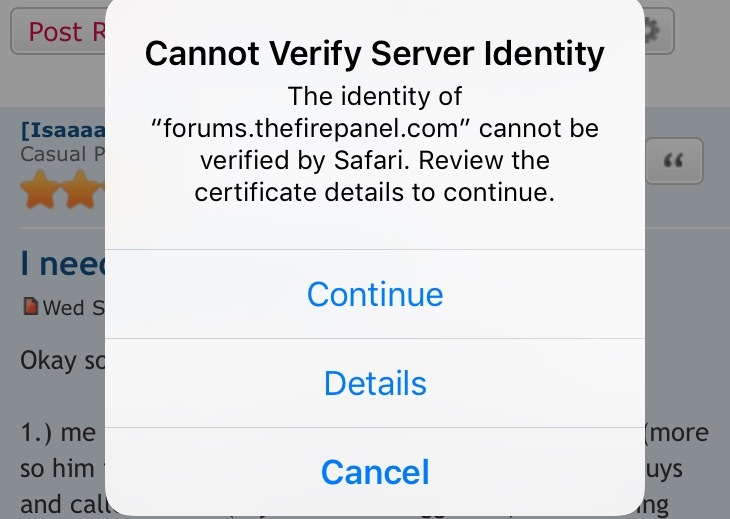 This server could not prove that it is forums.thefirepanel.com; its security certificate expired yesterday. This may be caused by a misconfiguration or an attacker intercepting your connection. Your computer's clock is currently set to Friday, September 8, 2017. Does that look right? If not, you should correct your system's clock and then refresh this page. 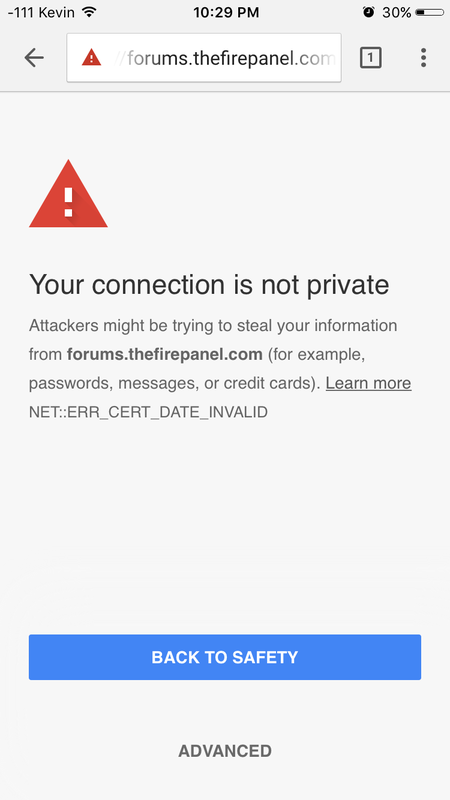 This isn't just an issue on the forums.thefirepanel subdomain it's also on the main site (thefirepanel.com) with the same message. We're aware of the Security Certificate issue and are working on a solution.